Roger Hodgson performed at the Spotlight 29 Indian Casino in Coachella last Saturday night, December 3, 2016 to an audience of adoring fans. 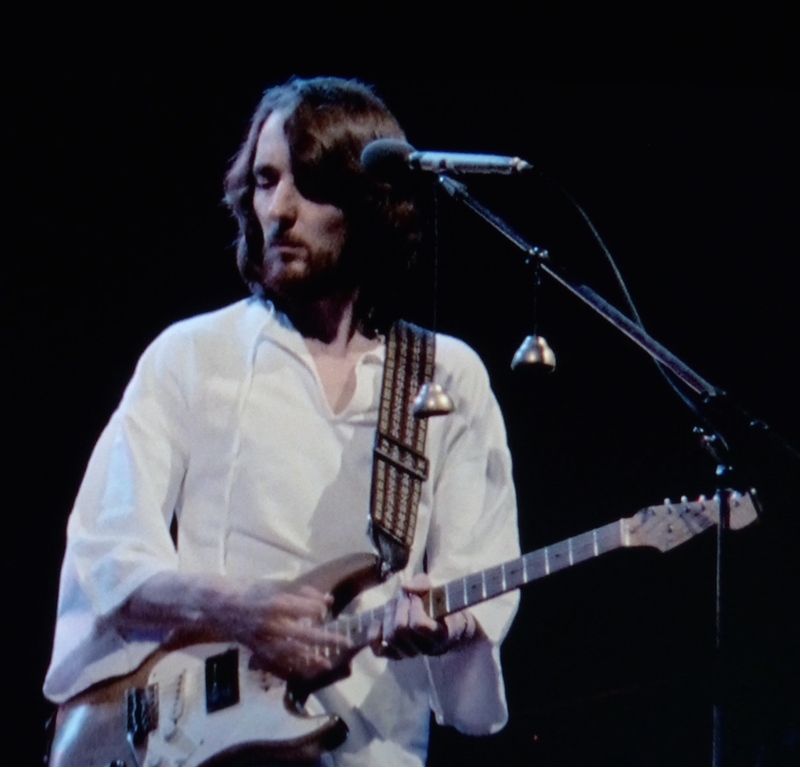 It was a heart rendering, spiritual journey through a bit of Hodgson’s fine solo work, topping a generous helping of the songs he wrote for the band Supertramp. Anyone within range of an FM radio in the 1970’s heard a lot from Supertramp. 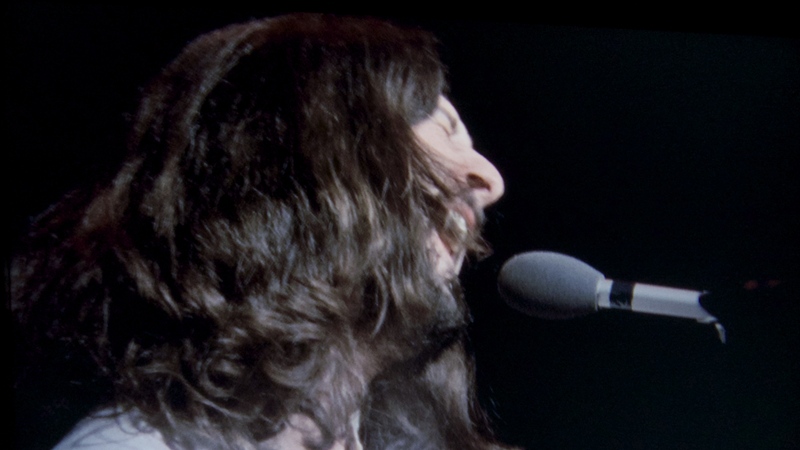 The group was led by a marriage of the uniquely talented principal members, Roger Hodgson and Rick Davies. Their breakup in 1983, which ended with Rick taking over the band, and Roger taking the highway, is one of the saddest in rock history. A decade before the split, after two early releases that were not commercially successful, the band clicked, releasing three popular masterworks in succession, Crime of the Century (1974), Crisis? What Crisis? (1975), and Even in the Quietist Moments… (1977). Each of these albums blended pop, jazz, and progressive rock music into a crowd-pleasing brew that allowed them to build a growing worldwide audience. By the time of their best selling release Breakfast in America (1979) they were mega stars, finally getting a #1 record in the states (#3 in the UK.) Many of the songs from that album are pure pop, and they became radio staples, including the title track, “The Logical Song,” and “Take the Long Way Home.” The album also contained several deeper cuts including Hodgson’s “Lord is it Mine” and “Child of Vision” – the fabulous workout for dual keys, Hodgson on Wurlitzer electric keyboard (a signature part of the album’s sound) and Davies on grand piano. After one more studio album …Famous Last Words… (1982), and tour the partnership fractured. This Hodgson solo tour was billed as the Breakfast in America show, and there was truth in that advertising, as all of the Hodgson-penned tracks listed above were included in the set list. On top of those selections, there was a generous helping of four from Crisis? What Crisis? (my absolute favorite); the one-two lead-in “Easy Does It” and “Sister Moonshine” were included with the more rare songs “Lady” and “A Soapbox Opera.” Fantastic! Key tracks from Crime of the Century, included set opener “School,” pop hit “Dreamer,” message song “If Everyone Was Listening” and arguably Hodgson’s most beautiful, heart-rending track “Hide In Your Shell” were highlights. One of Hodgson’s solo songs, “Death and a Zoo” was particularly fitting at this venue, as the message of kindness to animals was in line with Native American attitudes and music, including a tribal drum workout that shined. Closing the set, “Fool’s Overture” sated the prog crowd, while encores -“Had a Dream (Sleeping with the Enemy)” (his first solo single) and of course “Give a Little Bit” – kept everyone close to the stage and on their feet. Hodgson was in fine voice, able to reach smoothly into his upper register, which is critical for these songs to hit their mark. His playing on keys and particularly on twelve-string acoustic guitar was impeccable. The band was very strong as they deftly brought down the volume during sensitive bits, while punching the rockier moments. As the main man is so often on keys, there are times where an additional guitarist could punch things up a bit. But for this patron listening to these songs rendered with two and sometimes three simultaneous keyboards was pure heaven. Hodgson himself waxed philosophical, as has been his norm during the last decade as he tours as a duo or with band. He spoke plainly and warmly about the meaning of these songs, to him and to others, sometimes reading notes he’s received from fans or sharing his thoughts about how music can bring back memories, and heal troubled spirits. Truer words. See this enduring artist while the show goes on and the quality of performance is still so outstanding – if you care for this music, or just have interest and an open heart, it will be a priceless evening. Recently I wrote glowingly about one of my favorite bands, Supertramp and their recently recovered film of the Breakfast in America tour. Last year they released that stunning video Live in Paris ’79 – one of the best-filmed concerts from any rock band of the era, coming to the market 34 years after the event. It’s about to be re-released along with a CD set of the complete unedited concert. This group was led by a marriage of the uniquely talented principal members, Roger Hodgson and Rick Davies. Both founders planned tours this year, an exciting development for fans of their work. Supertramp’s radio-friendly sound was a mix of progressive and pop – incorporating elements of rock, blues, jazz, and lots of honky-tonk piano, they balanced light and dark compositions to an exquisite blend. Joined by the accomplished John Helliwell on winds, Dougie Thomson on bass and steady drummer Bob Seibenberg, their core work from Crime of the Century (1974) to Famous Last Words (1982) brought the band increasing success. Their breakup in 1983, which ended with Rick taking over the band, and Roger taking the highway, is one of the saddest in rock history. Sad news to be sure, and fans immediately took to the blogosphere to wish Rick well in his recovery. Without these shows we will also miss seeing the accomplished John Helliwell on winds and the rest of the remaining band. Most importantly, as the principal writers hew to their own songs in current shows, we will miss hearing many of Rick’s most enduring compositions, such as “Bloody Well Right”, “Asylum” and “Downstream” to name a few, along with his amazing skills as a pianist most impressively displayed on “Another Man’s Woman”. Rick: Well, I just feel, that every minute’s wasted, My life is unreal…. But is it me or you who’s to blame? Though the details are debated, it’s clear that Rick and Roger’s union was a fractured affair. They mounted a huge international tour to support Breakfast in America – breaking attendance records at the time – and they released their first live album Paris (1980) taken from the shows at the Pavilion de Paris, 1979. This is the album and now accompanying video that will be re-released this year. 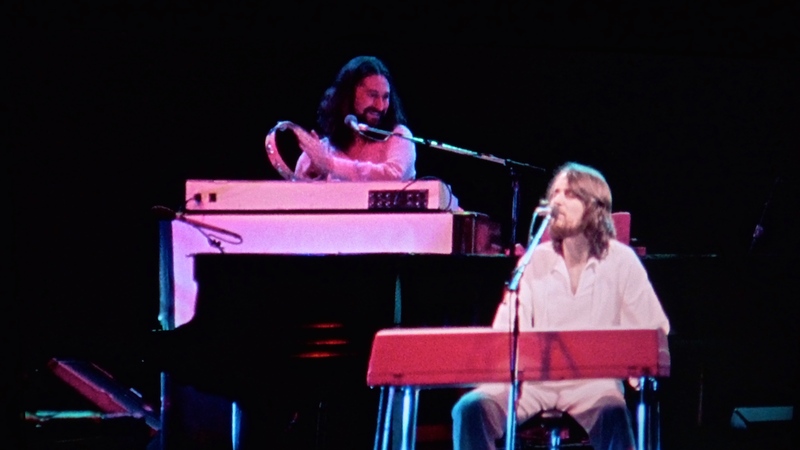 The centerpiece of this concert is the one-two punch of Rick’s brilliant vocal and piano work on “Another Man’s Woman” which then leads into Roger’s “Child of Vision.” In the latter, the two play their dual keyboards in harmonic perfection, reminding all viewers that though the union was difficult, great art was created during their time together. After one more album, the aptly titled …Famous Last Words… in 1982 and the tour that followed, Roger and Rick split. The only way to catch these artists since that time has been to see one of them separately. To see Rick Davies, fans will obviously have to wait until a recovery is complete, provided he returns to the stage thereafter. If Roger comes to town, or nearby, consider going out of your way a bit even if you must travel to a concert, as his shows are highly recommended. 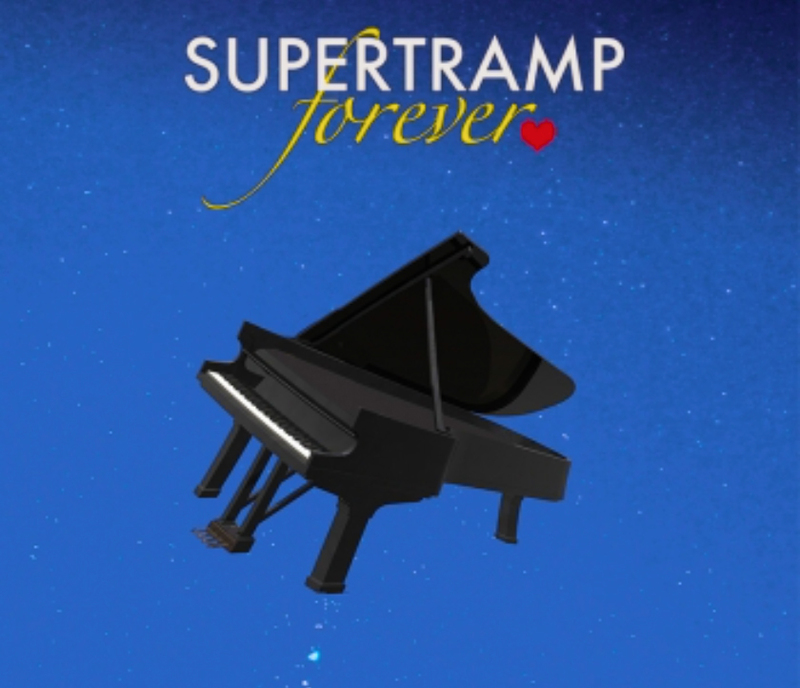 Any live show with either of these artists is a treat but for now the newly minted Paris concert video is now the best way to see what Supertramp was about when they were still together. Anyone within range of an FM radio in the 1970’s has heard a lot from the band Supertramp. 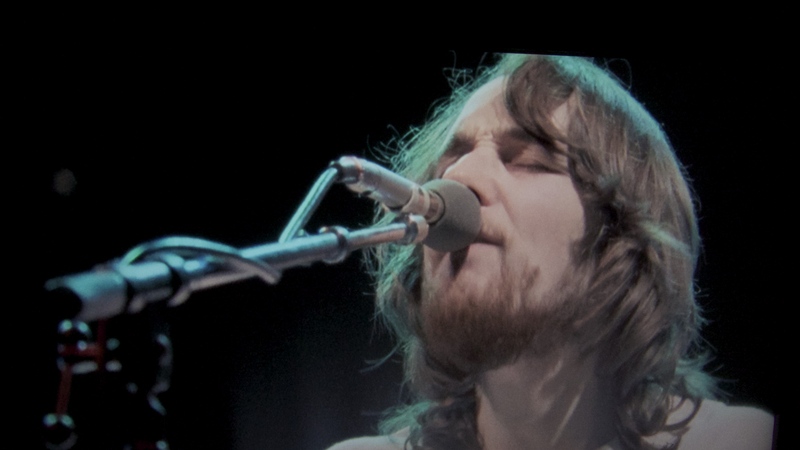 The group was led by a marriage of the uniquely talented principal members, Roger Hodgson and Rick Davies. Their breakup in 1983, which ended with Rick taking over the band, and Roger taking the highway, is one of the saddest in rock history. Last year they released the stunning video Live in Paris ’79 – one of the best-filmed concerts from any rock band of the era, coming to the market 34 years after the event. Supertramp’s radio-friendly sound was a mix of progressive and pop – incorporating elements of rock, blues, jazz, and lots of honky-tonk piano, they balanced light and dark compositions to an exquisite blend. Joined by the accomplished John Helliwell on winds, Dougie Thomson on bass and steady drummer Bob Seibenberg, their core work from Crime of the Century (1974) to Famous Last Words (1982) brought the band increasing success. Though the details are debated, it’s clear that Rick and Roger’s union was fracturing before and during this period. 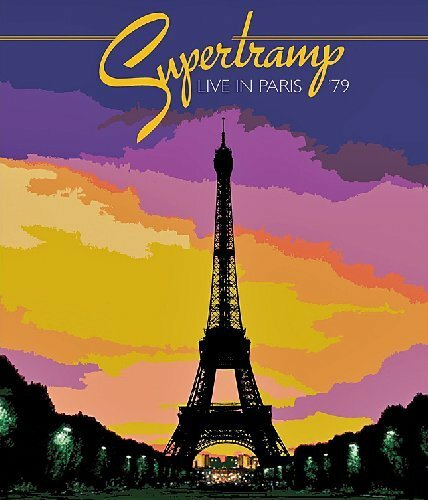 Nonetheless, they mounted a huge international tour to support Breakfast in America – breaking attendance records at the time – and they released their first live album Paris (1980) taken from the shows at the Pavilion de Paris, 1979. Thirty four years after the show, a film of the third night in Paris has been released on video – a digitally restored, brightly lit, 16mm 4 camera shot film with crisp audio that captures nearly the complete set. 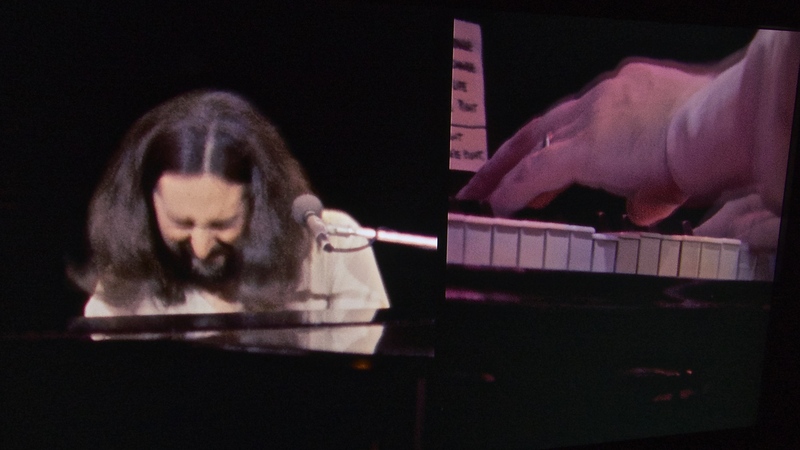 Here it’s possible to see split screen shots of Rick at the piano with Roger at guitar or keys along with close up shots of all the band members in their prime. The DVD should be a revelation for any fan that missed these tours, and a fond reminder for anyone lucky enough to have attended. Highlights include the opener “School” as the audience cheer to the first sound of Rick’s harmonica. The companion piece “Bloody Well Right” establishes their rocking credentials, while “Even in the Quietest Moments” calms the spirit. The centerpiece for this viewer is the one-two punch of Rick’s brilliant vocal and piano work on “Another Man’s Woman” which then leads into Roger’s “Child of Vision.” In the latter, the two play their dual keyboards in harmonic perfection. After one more album, the aptly titled …Famous Last Words… in 1982 and the tour that followed, Roger and Rick split. Since that time, Rick has written and recorded a handful of albums with the band, but it’s impossible not to despair at Roger’s absence. Roger has done a bit of solo work, and recently at long last began playing songs he wrote for the group in concert. Any live show with either of these artists is a treat but the newly minted concert video is now the best way to see what Supertramp was about when they were still together.